PARKMAN, FRANCIS, historian; b. 16 Sept. 1823 in Boston, son of Francis Parkman and Caroline Hall; m. 13 May 1850 Catherine Scollay Bigelow, and they had a son and two daughters; d. 8 Nov. 1893 in Boston. Francis Parkman was a descendant of Elias Parkman, who had settled in Massachusetts in the 17th century, and his mother’s family was connected to the Cottons among whom had been the Puritan divine Cotton Mather. 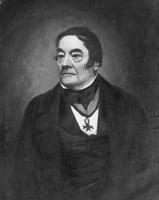 His grandfather, Samuel Parkman, was a wealthy merchant and shipowner, and his father a prominent Unitarian minister. In 1840, after attending schools in Medford and Boston, Parkman entered Harvard University, which then had a student body of fewer than 500. Two years later the onset of the malady that was to plague him for the rest of his life occurred. In his summer vacations he overtaxed his strength on canoe trips and long hikes in the mountains and forests in New England, rendering himself weak and listless. This health problem has been variously diagnosed by latter-day medical specialists as hypochondria, neurosis, severe eyestrain, and astigmatism. During these formative years Parkman’s abiding love of the forests never diminished. It led him, whilst still an undergraduate, to the decision to devote his life to writing the history of the struggle between France and England in those forests for dominance in North America. At Harvard he came under the influence of Jared Sparks, its first professor of history, but he was also strongly influenced by the novels of Sir Walter Scott and James Fenimore Cooper, and by Lord Byron’s verse. At the insistence of his father, however, he entered Harvard’s faculty of law in 1844, but, though he received a degree two years later, he never practised. In 1845–46 Parkman made a trip to Michilimackinac (Mackinac Island), Mich., where he garnered material for a projected work on Pontiac*’s war. He also travelled in 1846 to the Ohio valley and the old French settlements on the Mississippi. That same year, in an attempt to restore his failing health, he made his epic journey across the western plains to the foothills of the Rocky Mountains; this at a time when Americans in their thousands were pouring west to seek a better life in Oregon and California. Parkman spent some three weeks with the still fearsome Oglala Sioux, but what made a deeper impression on him were the remnants of once proud tribes encamped near the trading-posts, reduced to degradation by ruthless exploitation, disease, and liquor. This encounter served to enhance his innate belief in Anglo-American racial superiority. Throughout his writings the Indians were to be treated as hopeless savages, incapable of being civilized, hence doomed to extinction to make way for those better able to exploit the continent’s resources. As he later phrased it in History of the conspiracy of Pontiac: “He will not learn the arts of civilization, and he and his forest must perish together.” Parkman was a product of his times; most Americans shared his view. His country was on the march, its manifest destiny unfolding before his eyes. Clearly, nothing could or should be allowed to stop it, certainly not these savages, no more than the French had been allowed by providence to withstand the will of the Anglo-American people in the preceding century. Unfortunately the ardours of this trip proved to be too much for Parkman. He endured the misery of dysentery most of the time. Upon his return to Boston in October 1846 he suffered a nervous breakdown. Yet one has to wonder if the state of his health was as precarious as he claimed. He was able that fall to complete the dictation of The California and Oregon trail, which appeared in 1849 and told the story of his western trip. In the spring of 1848, while his nervous malady was at its worst, he had begun work on Pontiac. At the time he could not endure sunlight and had to remain in a darkened room until nightfall. He complained that his brain was in a constant whirl, his head as though in a contracting iron band when he tried to read, converse, or concentrate. The documents that he had had transcribed, most of them French, he had read to him, sometimes perforce by women with no command of the language. These reading sessions did not last more than half an hour. He then made notes, eyes closed, using a wooden frame crossed with wires over the writing paper to guide his pencil, three perhaps four words to the line. The notes were deciphered and read back to him, whereupon he dictated his narrative. He claimed that he averaged about six lines a day, the work interrupted for days and weeks when he could not put pencil to paper. Despite it all the book was published in 1851. The state of his health during this period could hardly have been as bad as has been made out since in the spring of 1850 Parkman had married Catherine Scollay Bigelow. Three years later, however, it did become a cause for grave concern. Laying history aside, he wrote a novel, Vassall Morton. Not regarded as a major literary work, it was published in 1856. The following year his three-year-old son died; in 1858 his wife died in childbirth. He then became so distraught that his family feared for his sanity. Although the first work to be written, Pontiac was later regarded by Parkman as a sequel to his series, France and England in North America. Fourteen years elapsed after its publication before the next volume, Pioneers of France in the New World, appeared in 1865. The works were then published in rapid succession as he worked on three volumes at a time: drafting one, writing another, polishing the final draft of a third; this despite recurrent bouts with his malady, which he referred to as “the enemy.” Although his eyesight improved, he still could not read for more than five minutes at a time: read for one minute, rest for one minute, or so it is claimed. Some of the volumes, particularly The Jesuits in North America in the seventeenth century, which appeared in 1867, and the two volumes of the inaptly titled A half-century of conflict, published in 1892, were largely composed with scissors and paste, being little more than lengthy passages excerpted from the documents and cobbled together. During these years he sought medical aid in Boston, New York, and Paris, with varying prognoses and degrees of relief, but by 1862 he was able to lead a normal life. With the publication of A half-century of conflict before his death, his epic series was completed. Parkman was fortunate in that he enjoyed a large income from his grandfather’s estate. He was thus able to spend his days comfortably at his house on Beacon Hill and at his summer home at Jamaica Pond, with servants and a loyal family to cater to his needs. His spare time he devoted to the cultivation of roses, publishing The book of roses in 1866. Five years later he accepted the sinecure appointment of professor of horticulture at the Bussey Institute of Harvard, but he resigned the chair within the year. Given the wealth at his disposal, Parkman could well afford to have many thousands of documents in the archives at Paris and Quebec, and in private collections, transcribed for his personal use. It is open to doubt how many of these documents he studied. He was certainly very selective in his use of them. It is also doubtful if he had a command of French sufficient to be able to grasp the full import, the subtle nuances, of these primary sources. His correspondence, in English, with Abbé Henri-Raymond Casgrain*, the Quebec historian who became a close friend, and with the Paris archivist Pierre Margry, reveals his linguistic weakness. On occasion he could misconstrue French words and phrases, sometimes, there is cause to suspect, deliberately, thereby giving an erroneous version of events. Parkman brought to his study of the French and British empires in North America certain preconceived beliefs and a priori assumptions that gave his work cohesion but resulted in a depiction of colonial society and events that bears little relation to fact. His work perhaps compares best to that of his contemporary, George Alfred Henty, the British writer of jingoistic historical novels for a juvenile audience. The British have long since shrugged off Henty, but the Americans, and many Anglo-Canadians, cling to Parkman’s version of their history. The past he judged by the values of a mid-19th-century Boston Brahmin, which, of course, he was. He believed, fervently, in the concept of progress, in American manifest destiny, and in the inevitability of the British conquest of New France since that last had been essential to ensure the subsequent independence of the United States. Thus he committed the mortal sin for a historian: because it happened, it therefore had to happen. Britain’s struggle with France in the colonial wars was, to him, a Manichæan conflict between the forces of light and of darkness: between the fledgling American nation, representing progress and Anglo-Saxon Protestant liberty, and New France, embodying Roman Catholic absolutism. As Parkman put it in Montcalm and Wolfe (1884): “It was the strife, too, of the past against the future . . . of barren absolutism against a liberty, crude, incoherent, and chaotic, yet full of prolific vitality.” Thus the New Englanders were possessed of an “uncommon vigor, joined to the hardy virtues of a masculine race.” The Canadians, on the other hand, exhibited serf-like subordination to their feudal lords: brave soldiers and explorers, certainly, but foreordained to give way before the disciples of progress. This basic concept gave his works the dramatic force of a Greek tragedy. Yet Parkman was no believer in democracy and he spoke out vigorously against it. He regarded the granting of the suffrage to the lower classes, white or black, as “the most dangerous enemy of liberal government.” He was also bitterly opposed to women’s suffrage and the temperance movement. With the anti-slavery movement he had no sympathy. He was an ardent proponent of what came to be known as Social Darwinism. Nothing succeeds like success, and success is justification enough of the means used to achieve it. 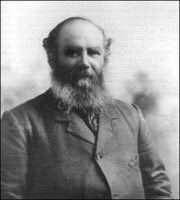 A staunch member of the Great Man school of history, Parkman centred five of his eight historical works on leading men of the colonial age, beginning with the volume on Pontiac and going on to René-Robert Cavelier* de La Salle in The discovery of the great west (1869). La Salle was made to appear great only by dint of Parkman’s turning much of the historical evidence on its head and ignoring what did not suit him. In 1962 the American historian William Robert Taylor, in a brilliant article, wrote of “Parkman’s willingness in his portrayal of La Salle to ride roughshod over his own evidence.” Parkman chose his central characters from amongst those with whom he could identify himself, with the exception of Pontiac of course. In the case of La Salle he saw a man, like himself, mentally tortured, beset by adversity, yet persevering in his quest. The character depicted is not La Salle, but Parkman. 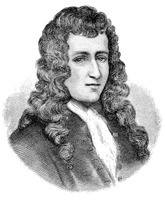 Frontenac [Buade*], the bombastic old courtier and governor of New France, captured his imagination because of his arrogance, for Parkman was himself the most arrogant of men. Moreover, Frontenac’s conflicts with the Jesuits, whom Parkman could admire for their courage but who were anathema for what they represented, made him a figure to be admired. 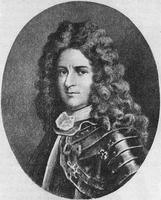 Equally revealing in his selection of great men is his omission of greater men than those he chose: for example, Charles Le Moyne* de Longueuil et de Châteauguay and two of his sons, Pierre Le Moyne* d’Iberville et d’Ardillières and Jean-Baptiste Le Moyne* de Bienville, who were, amongst other things, the founders of Louisiana. They, unfortunately, did not support the Parkman thesis, the supremacy of Anglo-American Protestant objectives and values, hence they were to be ignored. British historian Esmond Wright declared in 1964, in his foreword to an edition of Parkman’s Montcalm and Wolfe, that it “remains after eighty years by common consent not only his greatest work but the greatest historical work ever to come out of America.” Only someone supremely ignorant of the history of New France could possibly have made such a claim. Equally misinformed was the statement of Harvard’s Samuel Eliot Morison that Parkman’s works were “distinguished by scrupulous accuracy.” Even before he began Montcalm and Wolfe, Parkman stated that he proposed to make the Marquis de Montcalm* “the central figure of the work” and to group events around him. 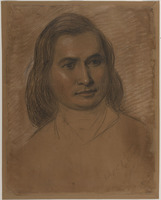 Parkman’s sister Eliza W.S., who served him as a devoted amanuensis, stated shortly after his death that he had been very conscious of his resemblance to his invalid hero, Major-General James Wolfe*. In this lengthy volume Parkman viewed the outcome of the struggle as a foregone conclusion, thus there was little need to question the strategy and tactics the two commanders employed. The central characters he depicted in hues of black and white. 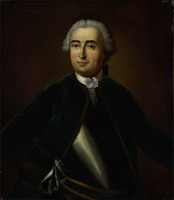 Wolfe is white; so too is Montcalm, who is treated very sympathetically even though he fought in the wrong cause, but then he had the good grace to lose the crucial battle at Quebec in 1759. 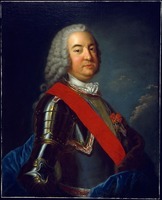 Governor General Vaudreuil [Rigaud*] and Intendant François Bigot* are depicted in deepest black and set against the noble Montcalm for dramatic effect. 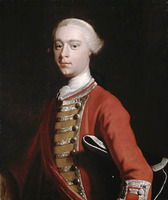 Parkman claimed, on the basis of no evidence, that Vaudreuil’s late arrival at the battle of the Plains of Abraham “was well timed to throw the blame on Montcalm in case of defeat, or to claim some of the honor for himself in case of victory.” It was drama that Parkman always strove for, not conclusions based on a rigorous, critical examination of the evidence. Having divined the answers, he had no need to put questions to the evidence, only to select that which supported them and ignore the rest. All too frequently he distorted evidence, making deletions without indicating that he had done so when he quoted directly, thereby deliberately altering the meaning. On occasion he contrived evidence, or contradicted it, to prove a point. Nor is Montcalm and Wolfe the only work where these proclivities are manifest. Without making any attempt to understand the logistical problems faced by either the French or the British, Parkman charged Bigot and Vaudreuil with wholesale corruption and the consequent undermining of French resistance. This supposed corruption Parkman cited as another example of French moral turpitude, as contrasted with Anglo-American rectitude. The wild accusations of Montcalm against the two men were accepted at face value, the fact that he had somehow contrived to amass a small fortune in the colony was ignored. So too was Montcalm’s blatant defeatism, which sapped French morale. So-called atrocities committed by the Indian allies of the French were roundly condemned and laid at Vaudreuil’s door, those committed by the Anglo-Americans were ignored or explained away. His account in Montcalm and Wolfe of the expulsion of the Acadians caused a falling out with his old friend, Casgrain, who found it altogether too hard to stomach. 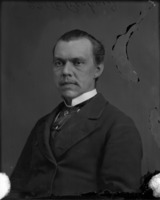 He challenged Parkman’s contention that the expulsion had been necessary and criticized the selection of documents published in 1869 by Thomas Beamish Akins, commissioner of public records in Nova Scotia, upon which the Bostonian had relied. Casgrain and Parkman did become reconciled but only by dint of the abbé’s exercising the utmost in Christian charity. In 1878 Université Laval in Quebec had proposed to award Parkman an honorary degree. A worse time could not have been chosen. Parkman’s The Jesuits in North America, published in 1867, and The old régime in Canada, 1874, had depicted the Jesuits and the Canadians in the worst possible light. The proposal somehow was made public and created a storm. 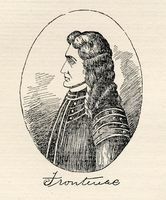 The ultramontanists, led by journalist Jules-Paul Tardivel*, attacked Casgrain and the university for fawning on a traducer of French Canada and the Catholic Church. The Anglo-Protestants and the French Canadian anticlerical press were quick to enter the fray. Soon the intellectual atmosphere in the province became so poisoned that the rector of Laval felt obliged to inform Parkman that to save him from embarrassment, and for the good of the university, under the circumstances it appeared better to defer the granting of the degree. Parkman, a gentleman always, graciously accepted the situation without rancour, declaring himself to have been moved by the attempt to honour his work. 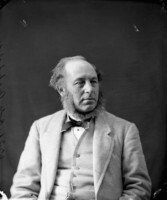 Shortly afterwards McGill College in Montreal, that bastion of Anglo-Protestant supremacy in French Canada, offered Parkman its degree, which he was pleased to accept in 1879. Since 1945 Canadian historians have rewritten the history of New France and in Canadian academic circles Parkman’s version has been discarded, prescribed now only to students of historiography. In the United States, however, a new edition of France and England in North America appeared in 1983 to great acclaim. As W R. Taylor observed in a review, it was “hard to explain the extraordinary power these histories still retain.” The voices of a few lonely scholars in the United States have been raised in protest but, it would seem, in vain. Why should this be? There are two main reasons. Parkman had an extremely gifted pen. 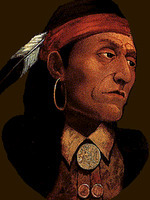 An incurable romantic, he could evoke in the mind’s eye of the reader vivid views of the forest and its denizens – stealthy Indian warriors and tough Canadian militiamen, led by French officers with exotic names clad in blue-faced white surcoats, slipping through the woods at dawn to fall on an unsuspecting settlement of sturdy New England yeomen: the sudden attack, the massacre, the torch put to homes, the war party retiring to Canada with a few terrified prisoners: and so on. The unschooled reader is swept along, his sympathies always engaged for the right cause. The Jesuits in North America concludes with one of these sweeping, vivid passages: “Liberty may thank the Iroquois, that, by their insensate fury, the plans of her adversary were brought to nought, and a peril and a woe averted from her future. They ruined the trade which was the life-blood of New France; they stopped the current of her arteries, and made all her early years a misery and a terror. Not that they changed her destinies. The contest on this continent between Liberty and Absolutism was never doubtful; but the triumph of the one would have been dearly bought, and the downfall of the other incomplete. Populations formed in the ideas and habits of a feudal monarchy, and controlled by a hierarchy profoundly hostile to freedom of thought, would have remained a hindrance and a stumbling-block in the way of that majestic experiment of which America is the field. The Jesuits saw their hopes struck down; and their faith, though not shaken, was sorely tried. The Providence of God seemed in their eyes dark and inexplicable; but, from the stand-point of Liberty, that Providence is clear as the sun at noon. Meanwhile let those who have prevailed yield due honor to the defeated. Their virtues shine amidst the rubbish of error, like diamonds and gold in the gravel of the torrent.” This power of style captivated Parkman’s contemporary and later readers, in both North America and Europe. In Canada a number of writers sought, with scant success, to emulate it, among them such historians as William Dawson Le Sueur*, George MacKinnon Wrong*, and Charles William Colby*. The second reason for the continuing appeal of Parkman’s version of history is more sinister. His innate prejudice in favour of Anglo-American values, institutions, myths, and aspirations is still shared by the overwhelming majority of Americans. In short, his appeal is to innate chauvinism. To a not inconsiderable degree, many anglophone Canadians accept this concept, regarding the French Canadians as an inferior breed whose conquest by the British was not only inevitable but the best thing that could have happened to them. 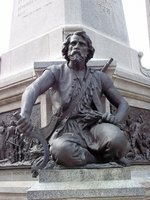 They share Parkman’s view, expressed in The old regime in Canada, that a “happier calamity never befell a people than the conquest of Canada by the British arms.” As for the plight of the Indians, Parkman took no account of them. What then is one to make of the Parkman phenomenon? For almost a century his interpretation of the French and British experience in colonial times was accepted as gospel. Eminent scholars in Canada and the United States declared the history of New France to be a closed book. There was nothing more to be said. Parkman had said it all. Historians would not say that today with impunity. There is no question but that Parkman’s version was thoroughly bad history, judged by present-day professional standards. Like his near contemporary Jules Michelet, he sought to make the past live in the present. He succeeded. Unfortunately it was a past that existed only in his imagination. Francis Parkman’s seven-part series France and England in North America, originally published in Boston between 1865 and 1892, has gone through a multitude of editions, the latest of which, prepared by David Levin, was issued in two volumes under the series title (New York, 1983). A one-volume anthology comprising selected chapters from the series was published as The Parkman reader . . . , ed. S. E. Morison (Boston and Toronto, 1955); sales figures for France and England up to 1953 appear on pp.523–24 of this anthology. Two revised versions of History of the conspiracy of Pontiac . . . (Boston, 1851) were published by Parkman during the preparation of France and England: the 6th edition (1870) was expanded to two volumes and renamed The conspiracy of Pontiac and the Indian war after the conquest of Canada; the 10th edition, with further additions, appeared in 1891. Parkman is also the author of The California and Oregon trail: being sketches of prairie and Rocky Mountain life . . . (New York, 1849); Vassall Morton; a novel (Boston, 1856); and The book of roses (Boston, 1866). 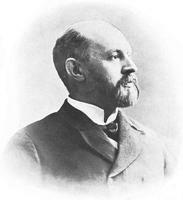 Further information on his writings and the various editions in which they have appeared is provided in the National union catalog and in the biographies by Charles Haight Farnham and Mason Wade (cited below). The journals of Francis Parkman, ed. M. Wade, have been published (2v., New York and London, 1947), as have the Letters of Francis Parkman, ed. and intro. W. R. Jacobs (2v., Norman, Okla., 1960). W. D. Howells, “Mr. Parkman’s histories,” Atlantic Monthly (Boston), 34 (July–December 1874): 602–10. DAB. H.-R. Casgrain, F. X. Garneau et Francis Parkman (Montréal, 1912). Howard Doughty, Francis Parkman (New York, 1962). C. H. Farnham, A life of Francis Parkman (Toronto, 1900). David Levin, History as romantic art: Bancroft, Prescott, Motley and Parkman (Stanford, Calif., 1959). O. A. Pease, Parkman’s history: the historian as literary artist (New Haven, Conn., 1953). Mason Wade, Francis Parkman, heroic historian (New York, 1942). W. J. Eccles, “The history of New France according to Francis Parkman,” William and Mary Quarterly (Williamsburg, Va.), 3rd ser., 18 (1961): 163–75. W. R. Jacobs, “Some of Parkman’s literary devices,” New England Quarterly (Brunswick and Portland, Maine), 31 (1958): 244–52. F. P. Jennings, “A vanishing Indian: Francis Parkman versus his sources” and “The Delaware interregnum,” Pa. Magazine of Hist. and Biog. (Philadelphia), 87 (1963): 306–23; 89 (1965): 174–98; “Francis Parkman: a Brahmin among untouchables,” William and Mary Quarterly, 3rd ser., 42 (1985): 305–28. W. R. Taylor, “A journey into the human mind: motivation in Francis Parkman’s La Salle,” William and Mary Quarterly, 3rd ser., 19 (1962): 220–37. W. J. Eccles, “PARKMAN, FRANCIS,” in Dictionary of Canadian Biography, vol. 12, University of Toronto/Université Laval, 2003–, accessed April 19, 2019, http://www.biographi.ca/en/bio/parkman_francis_12E.html.